I drifted. Flat on my back on an inflated tire tube, slowly moving across the silent waters of the Siitan River. 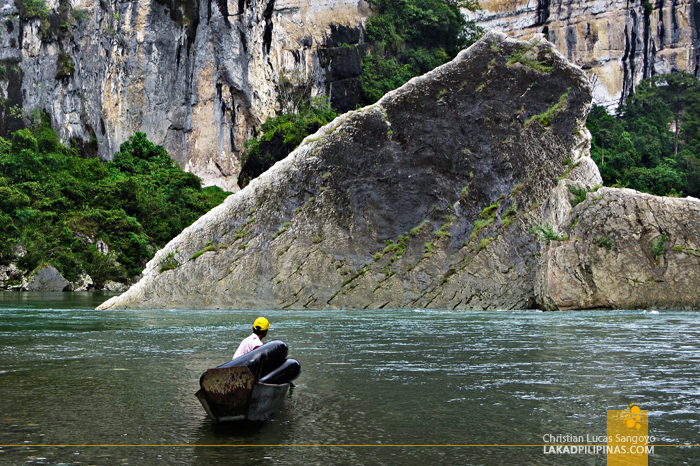 On both sides of the bank, soaring limestone cliffs rose, flanking me. It felt surreal. Then the current started to get stronger, propelling me faster than I would’ve preferred. Snapping out of my reverie, I looked around and found that it was just me, the rumbling river and the mute limestone sentinels. Where the heck were my companions? My mind was still on the pancit cabagan we tried at a panciteria in Barangay Ponggo when we were dropped off at the sandy banks of the Siitan River in Nagtipunan, Quirino. We walked for a few minutes, eventually reaching the Bimmapor Rock Formation, a popular rock outcrop near the river’s edge that somehow resembles the stern of a sinking ship. The group took an interest on the sandstone landscape surrounding Bimmapor. 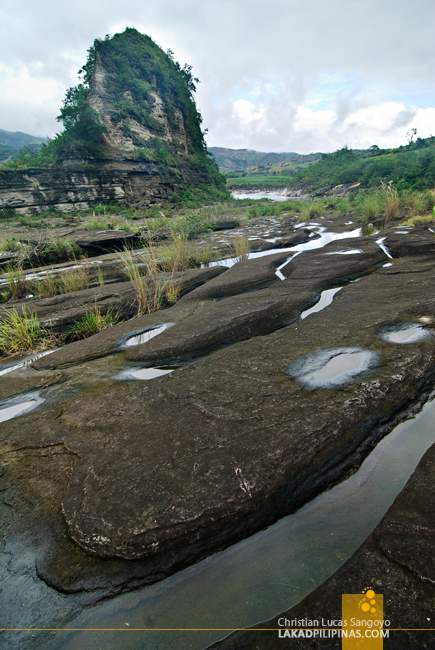 It looked otherworldly with water-filled curving grooves naturally cut across its massive surface. Elevated some meters above the seething waters of Siitan River, I made sure to keep my clumsiness in check as I neared its edge. On the calmer part of the river, a couple of bugador greeted us good mornings near the bank and motioned us to their balasyan boats. This was to be our starting point for the Siitan River Cruise. We were a bit doubtful on the ability of these balasyan canoes in surviving the rapids along the river. One, they were made of wood. Second, they were quite shallow, and with our combined weight, we’re pretty sure it would fill up with water in no time. Third, and most important of all, it has no outrigger support. 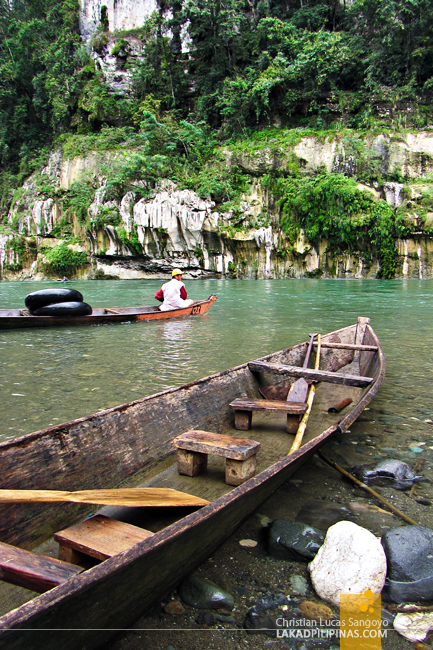 In the end, our boatmen assured us that these boats have been traversing these parts since decades past, as it used to be the primary mode of transportation during the logging era of Quirino. Made from kalantas wood, it would take a really concerted effort for it to tip over or even fill up with water. After some convincing, by fours, we finally boarded and slowly glided along the river. 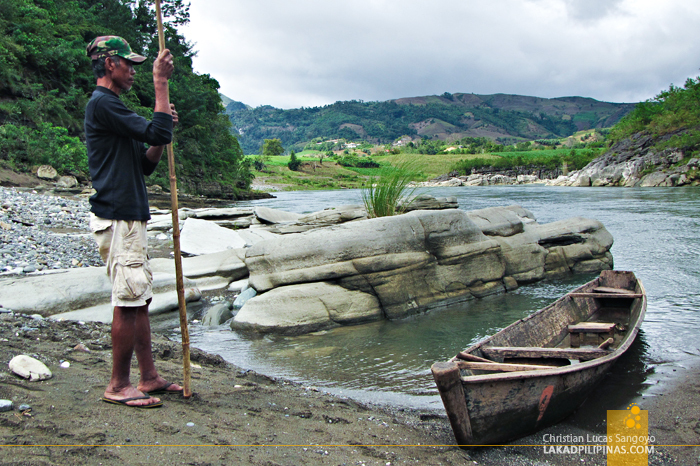 Siitan is part of the mighty Cagayan River. During dry season, our guide told us that the water is crystal clear; it was only now during the rainy months that it turns a bit murky. I don’t know if they were just being overly modest, but the river water looked quite clear to me. I just can’t imagine how crystalline these waters get during the right season. 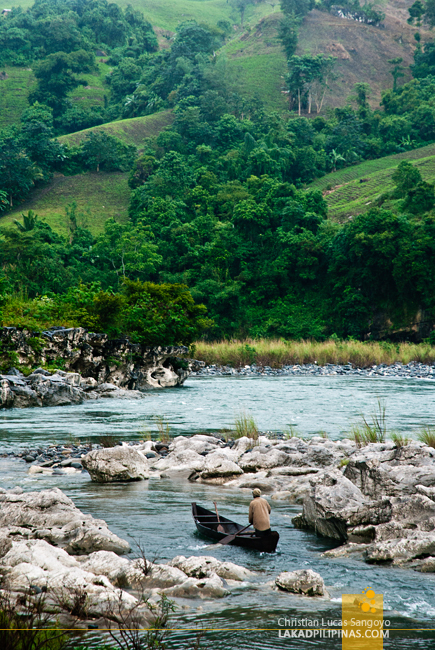 After some minutes of easily cruising along Siitan River, a batch of balasyan canoes docked on the bank while the rest drifted off into the stronger parts of the river. A few of us decided that canoeing just wouldn’t break it; we wanted something that would make our blood rush to our head and send us shrieking in fear and delight. Within a minute, a set of rubber tubes were brought out. We clumsily sat on them, they pushed and we took off like mad devils into the churning rapids of the river. It was my first time to do river tubing and I was scrambling like crazy to even have a semblance of control over my inflated rubber tube. After a few minutes of trying, I totally gave up and simply let the waters take me where they wanted me to. And that’s exactly when I started to enjoy the show. Siitan River is astoundingly gorgeous. 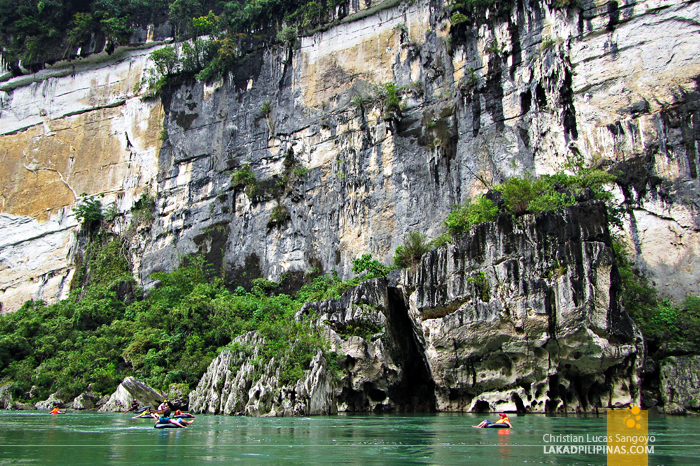 As the mad rush of the river slowed to a pace, a limestone gorge, some probably more than a hundred feet in height, engulfed me on both sides of the river. 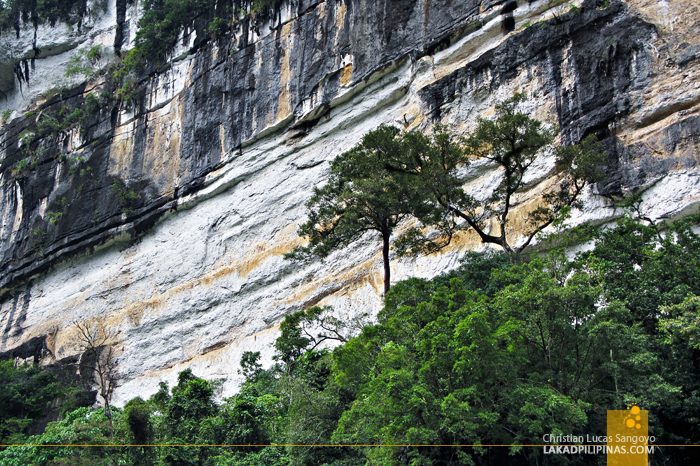 The Siitan Gorge came as a complete surprise. I was never expecting anything as grand as this, especially on a province not known for tourism. Enormous boulders, fallen off parts of the gorge, litter the banks. These really made me feel quite tiny as my tube went around on its own around these gigantic chunk of limestone rocks. 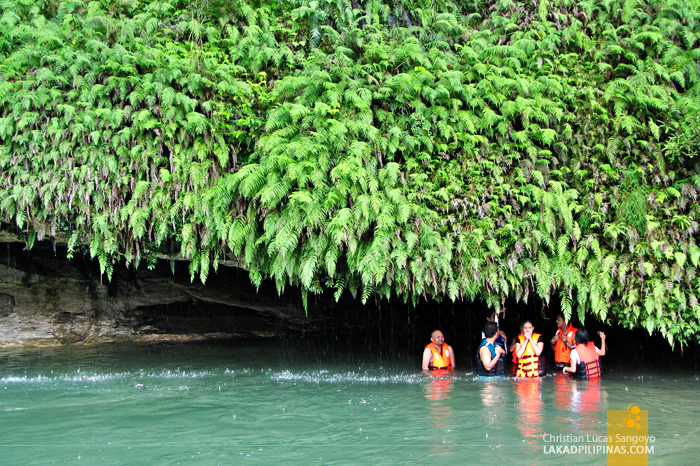 Turning a bend, I passed a few of my companions taking shelter and swimming on a natural cave along the river. These were the guys who opted for the canoe ride all the way through. As soon as we tube guys passed them, we knew from the way they exclaimed that they also wanted to try tubing along Siitan River too, lol. Some minutes of lazily drifting along and taking in the view, I somehow managed to lose sight of everyone. Quietly, my inner panic started to kick in as I realized I was all alone, drifting on a piece of rubber on an unknown place. But the beauty of the Siitan Gorge was simply too much; overwhelming whatever fear I had and turning it into a wonder and amazement. Wow. 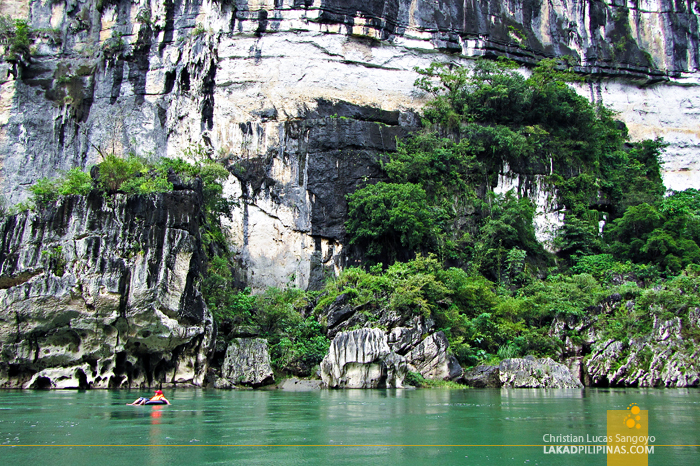 Thanks for featuring Quirino Province in your blog! I grew up there and Bimmapor is one of my favorite tourist spots in our province! BTW, your photos are amazing at nakakaproud kung paano mo kinwento yung experience mo! 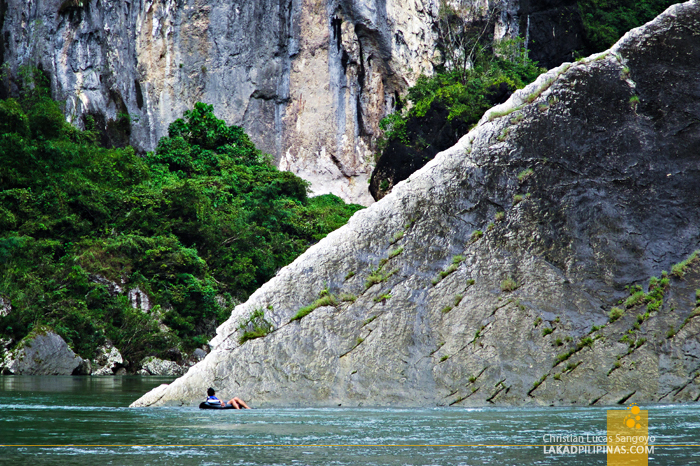 I'm super jealous right now, nauna pa kayong mag-try nyang river tubing sa siitan river! I'll definitely try that, pagkauwe ko sa amin sa holiday season. :) more power on your blog. Thank you Abel! We had such a great time doing the river tubing at Siitan River! 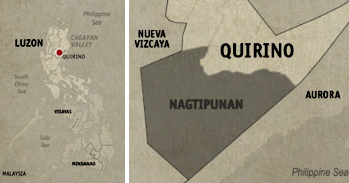 *gaping in awe* I should go visit Quirino Province right away. Wow!!! thanks!!! I never heard of this place!!! I have been to Quirino but my host friend has no knowledge about this place. Thanks for sharing this post. I must now include this in my future travel list. Hi, Lakad Pilipinas. I'd have to say, this blog is EXCEPTIONAL. The pictures are amazing and the write-up is equally wonderful. I was clueless about Quirino until I came across your blog. 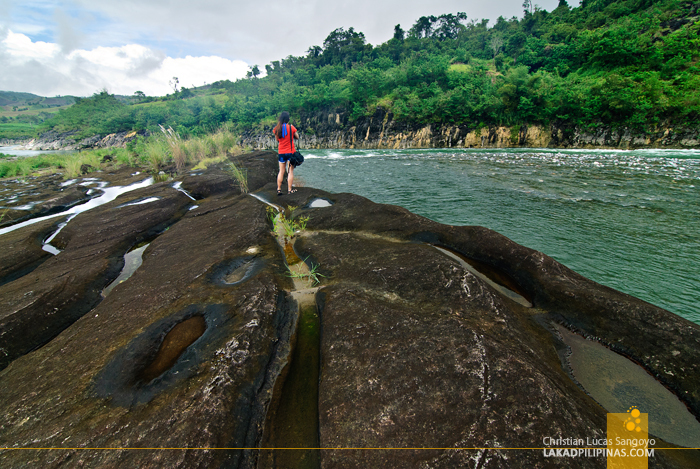 Thank you, thank you, thank you so much for sharing the beauty of Quirino! Kudos! 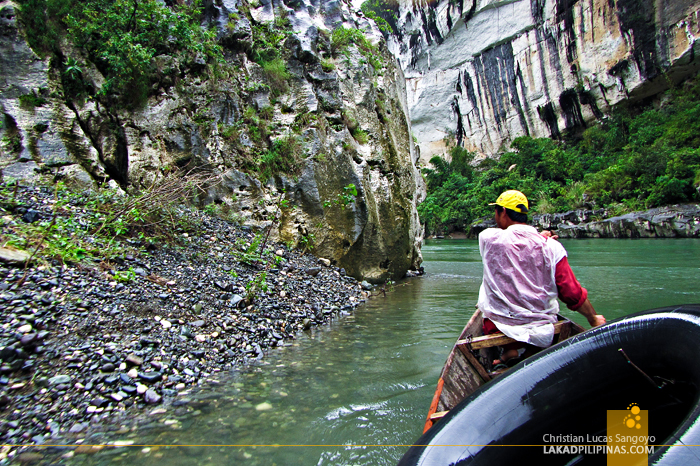 This is a very useful write-up about Quirino, a big help for travelers. Beautiful pictures as well. Keep it up! Thank you Richy! Quirino is such an underrated province!